Here is a photo of the latest new project we completed. 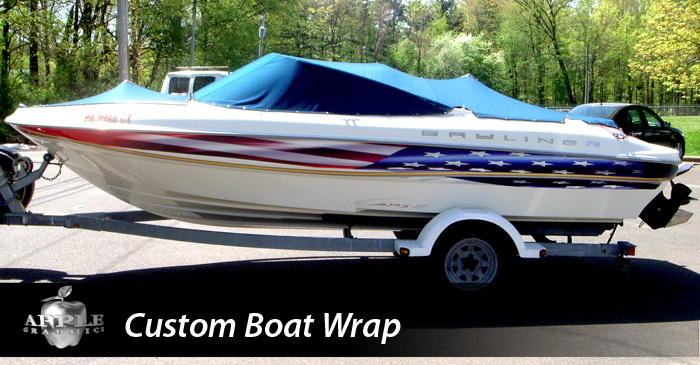 We took an ordinary boat and wrapped it with a custom printed marine wrap material of an American flag. The customer is really happy to have it done as it adds a new dynamic into the look of the boat. Our certified installers were able to complete this project the same day.